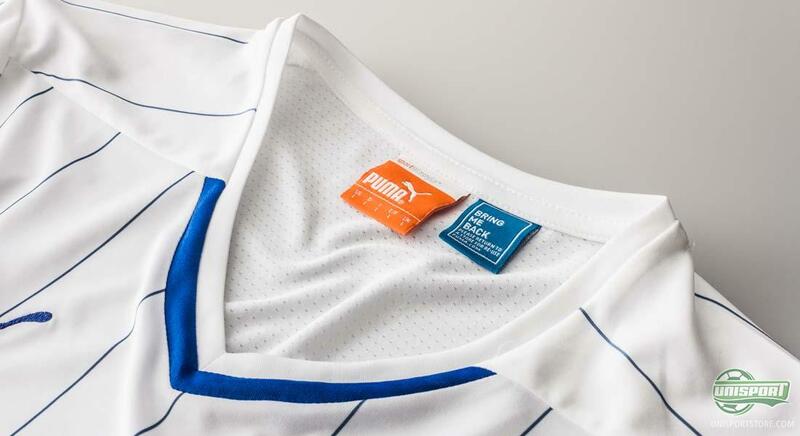 Italy is one of the very biggest nations in World Cup football, and now Puma have made both a home- and away shirt for the four-time winners of the prestigious trophy. The expectations are always sky-high, when the Italians partake in any major tournament, no matter if it is the Euro’s or the World Cup and this time is no exception. 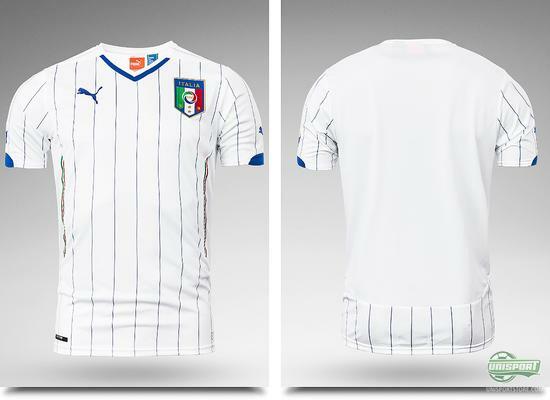 The people demand a strong showing and to help them Puma have provided two cool new Italy shirts. 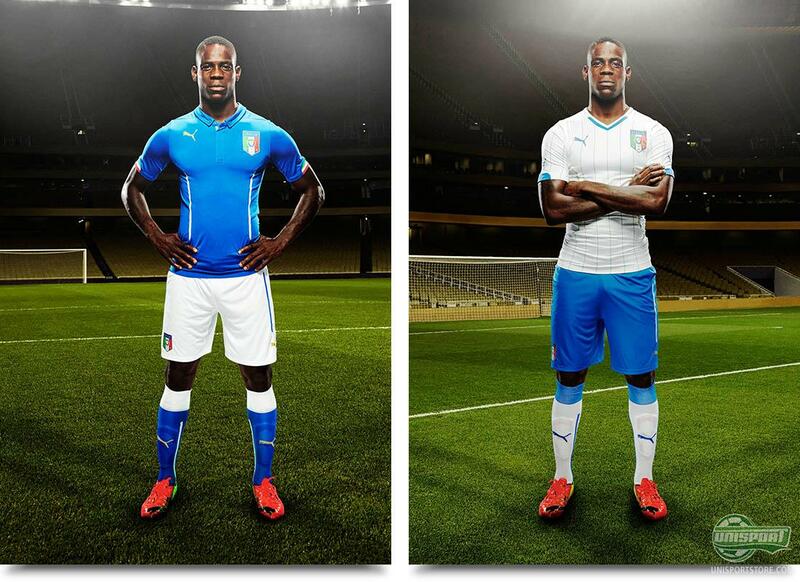 Both the home- and away shirts have a classic design, which is sure to impress the always fashion conscious Italians. Puma certainly do their bit to satisfy the demanding crowd, who very much know what they want. 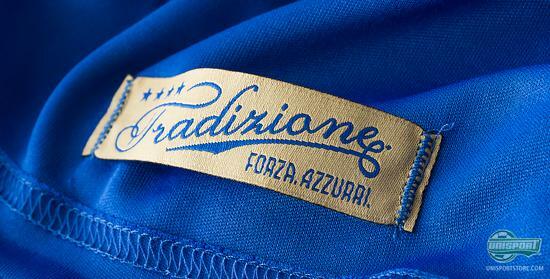 The new Italian World Cup home shirt is, true to custom, Azure. But why is the shirt actually blue? The colour is not to be found in the Italian flag. The explanation lies in the azure colour being the official colour for the Savoia house, which were the royals in Italy until the country got together to form a republic. Until 1946, the Italian flag always had the Savoia house coat of arms, with the blue colour – and the tradition of the blue shirt has continued even after Italy became a republic. 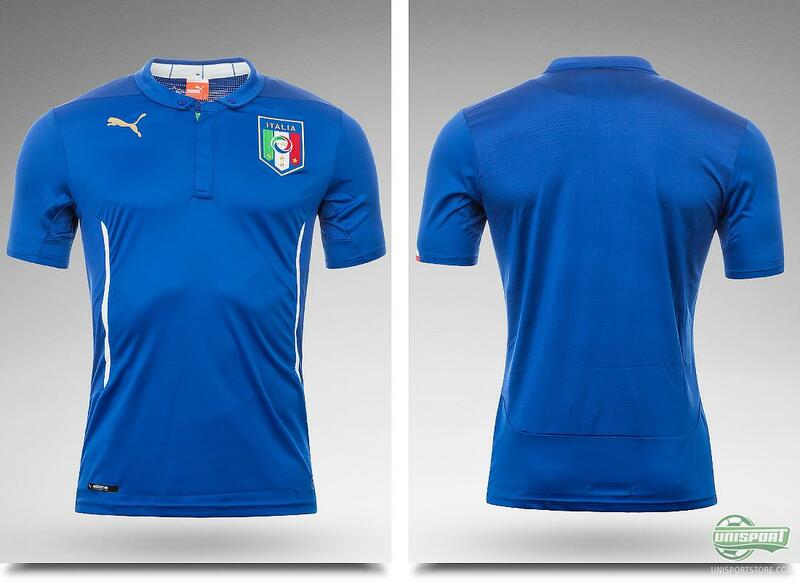 The new Italian home shirt comes with a nice collar with two buttons. Hereby, Balotelli, Pirlo and the other Italian stars, can add a little personal twist to the shirt. 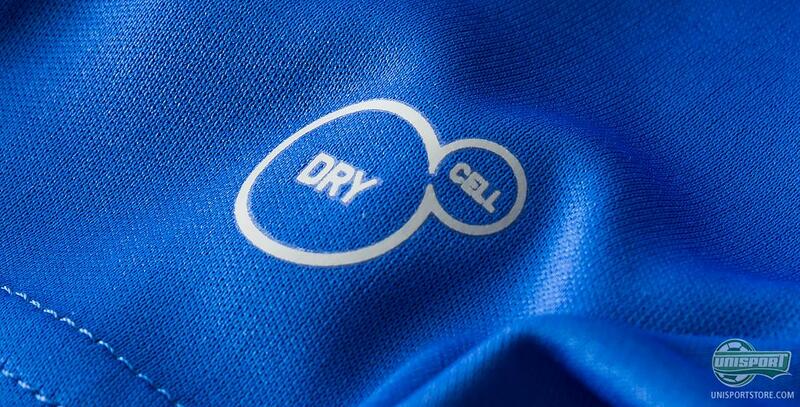 In addition, this also makes the shirt stand out a bit in the sea of new shirts. Inside of the shirt you will find some writing in Italian that may be translated to: In Italy azure is more than just a colour. Azure is a lifestyle, which has been passed on from generation to generation. It represents a tradition of hope, victory and captured stars. In Italy, blue means that you are always ready to dream big. This is what this shirt represents. A shirt made for dreams. 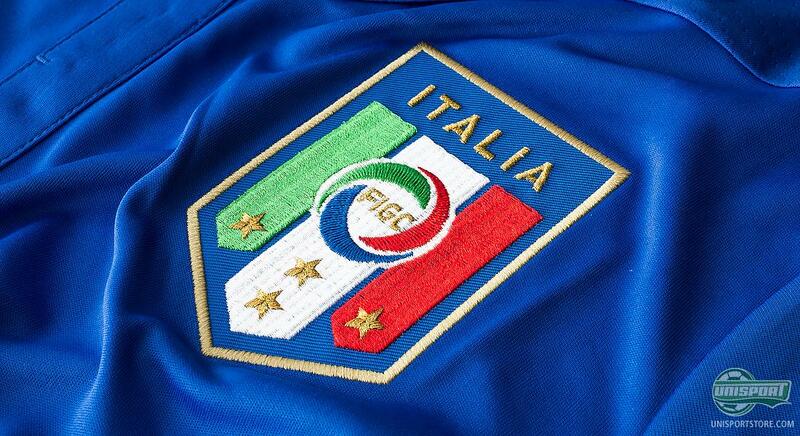 Forza Azzurri. 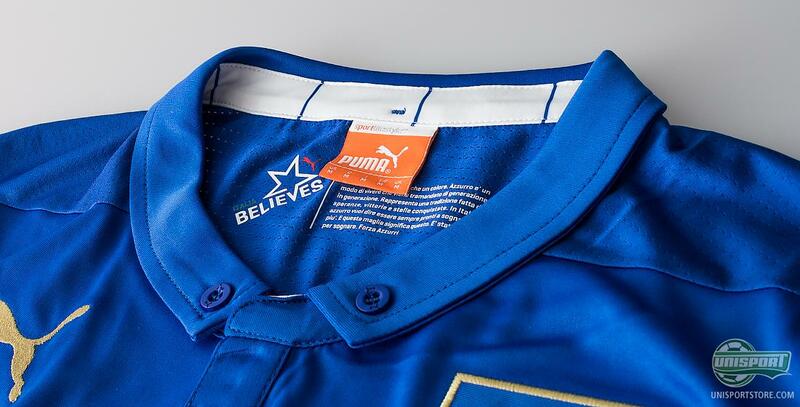 With an inscription like that in the back of the neck, the Italian players must feel very proud as they pull on the shirt. They are fully aware that a whole nation is watching as they fight for the pride of their country on the Brazilian stadiums this summer. In order to complete the wardrobe for the World Cup tournament in Brazil, the Italians naturally also need an away shirt. 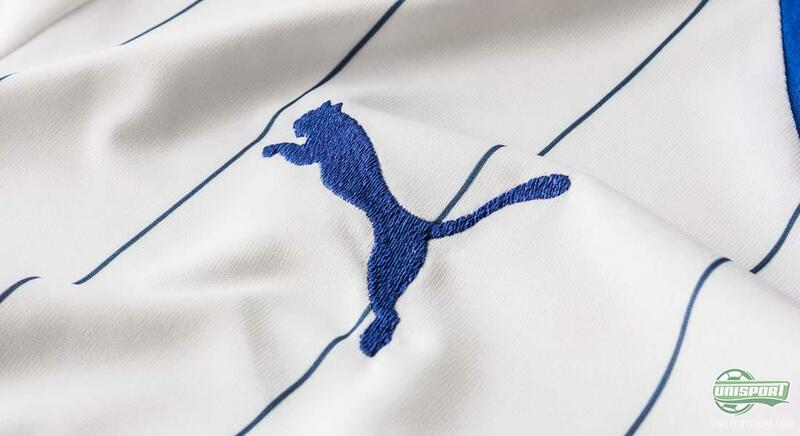 Puma have delivered just the right shirt for the job, which carries on the tradition of white Italian away shirts. The white base colour is decorated with vertical azure stripes. 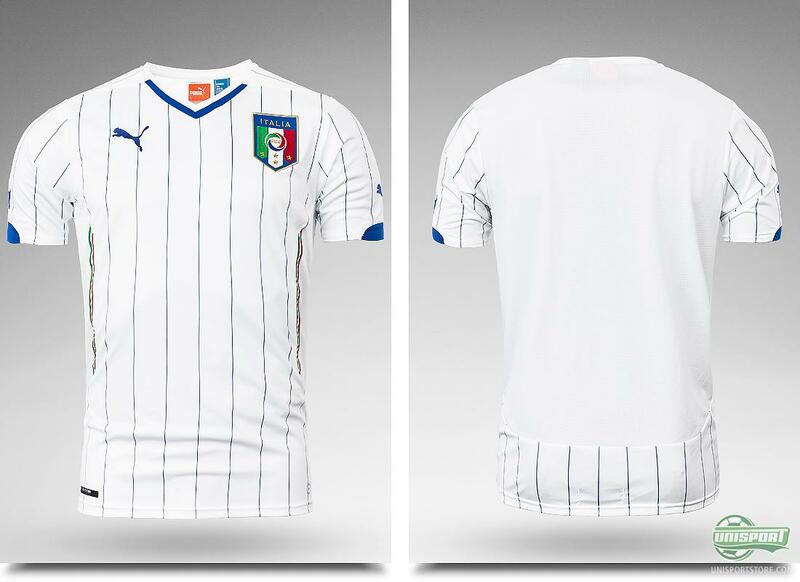 The result is a new Italian World Cup away shirt with an absolutely fantastic display that very few football shirts can match. Along the side you will also see a band with the colours of the Italian flag running. Just as it was the case with the home shirt, the Italians away shirt is also made by Puma. 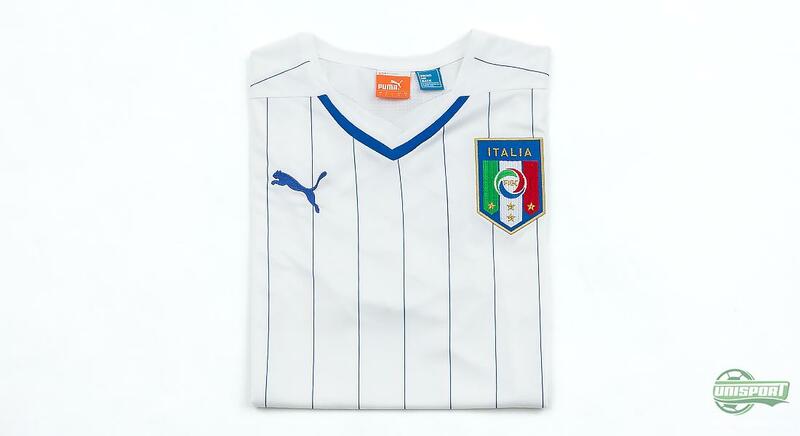 The Italians started the their cooperation with the German sports brand back in 2003. Since then, there has been no looking back, and the impressive shirts have just kept on coming. As we have become accustomed to from Puma, their shirts are always produced from top quality materials. 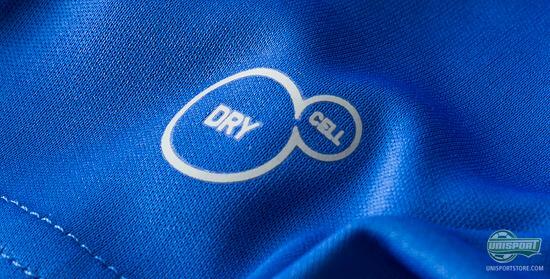 The lush DryCell material wicks sweat and moisture away from your body, and the Italian World Cup shirts will do very well both on the football pitch and for everyday use. The Italians are certainly in and among the favourites to take this years World Cup title. First up, they will of course need to make it through the group stage, and here the Italians will already meet some rather tough competition. 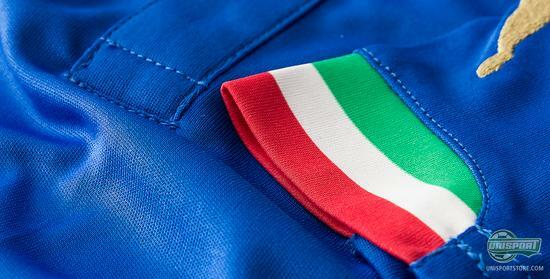 (Gli Azzurri) will face Uruguay, Costa Rica and England. Would you like the full kit? Pre-order with shorts and socks already now. 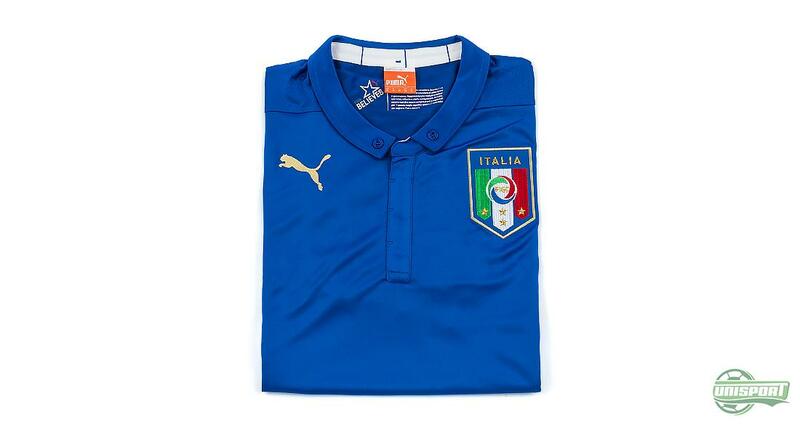 We are excited to see the new Italian football shirts in action, just as we are looking forward to seeing how they will do at the World Cup tournament. How do you think the lads from the boot country do? And what are your thoughts on the new shirts? Take you football passion to a social level and share your thoughts on Facebook and Twitter.